Robinson Construction Company recently held a Safety Poster Contest open to children and grandchildren of Robinson Construction Company employees. Participants (ages 5 to 18) were asked to design and submit a “construction safety” themed poster. 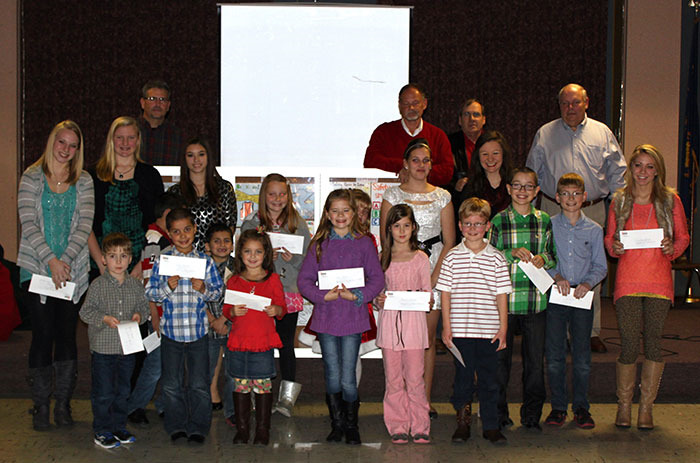 The posters were then voted on by Robinson Construction employees and first through third prizes were awarded in each of four different age groups. The winners were announced at the Robinson Construction Christmas Party on December 14th. According to Eugene Besand, Safety Director for Robinson Construction, “The Safety Poster Contest allows the families of our hard working employees a chance to share how they view the construction world and offer their advice on how we can work safely. We feel this is a positive way to help promote safety on the job while giving the children of our employees a chance to show off their talents.” A safety calendar has been created using the winning safety posters and will be posted on all of the company’s jobsites as an additional reminder to employees to work safe. The company plans to make the safety poster contest a yearly event.